The Grange was built on the granary ruins as a family house in the 1840s. It incorporates architectural features from the old Archbishop’s Palace. The main entrance is on the north side, and the arms of Cardinal Pole over the door acknowledge that he gave the Mint Yard to the School. From the 1860s the building was used by the School, accommodating boys and masters. 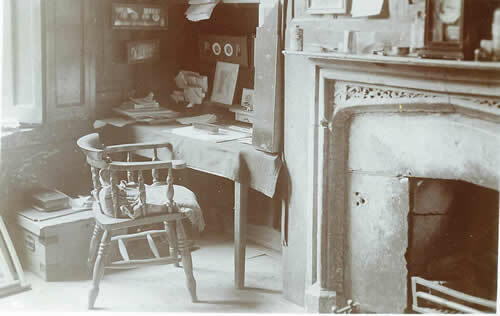 The study known as the Old Grange (illustrated) was used by the Captain of School. In 1928 The Grange became a separate house. In September 2007, the boarding house moved to a new building at St Augustine’s. The Grange now houses the new Edred Wright Music School, classrooms, and part of the School Archives.